Combine a ride on the Coca Cola London Eye with a lunch at Wildwood. As the tallest Ferris wheel in Europe, constructed to commemorate the new millennium, the London Eye quickly became a symbol for a new and modern London. Gaze out over the city's ever changing skyline four hundred and forty feet above the streets of the capital. 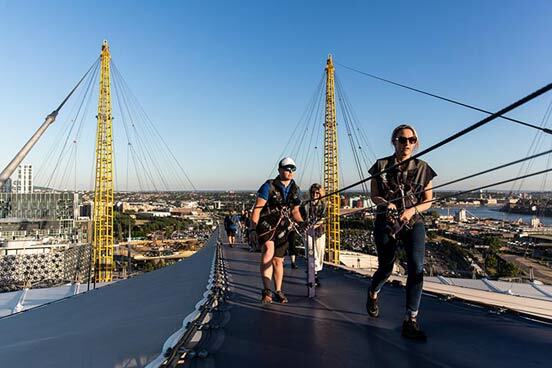 Take in landmarks old and new, from The Shard to the iconic dome of St Paul's Cathedral, in the comfort of one of thirty two state of the art viewing capsules which include interactive devices to help you get the most out of your time on one of London's premier attractions. After your London Eye experience you can walk a few minutes down the road and sit down to a tasty two-course meal with a soft drink at Wildwood, which offers a wide grill selection and provides something for everyone including, classic pizza and pasta dishes, as well as tasty roasts and comforting risottos. This is a sample menu from Wildwood, please note this is subject to change throughout the year. You may pick two courses each and a soft drink from the menu. This experience is available Monday to Sunday, throughout the year. Excludes the Christmas period. The whole experience will last approximately 2 hours.